This Short Story Month, we’re interviewing short story writers every Wednesday, here on the All Lit Up blog. 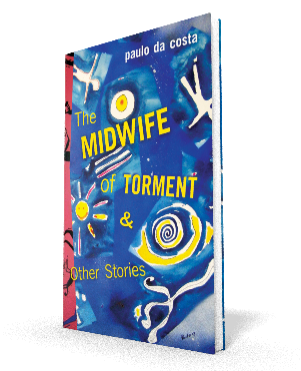 paulo da costa’s latest short story collection The Midwife of Torment & Other Stories (Guernica Editions) is exclusively made up of “sudden fiction” – that is, stories under 1,000 words apiece. With stories like “Roses, Lilacs, and Chrysanthemums” (excerpted below) that manage to be succinct yet utterly evocative of their settings and characters, paulo likens Midwife to a “literary tapas” and shares some of his own influences, below. This entry was posted in Blog, Interviewed, Interviews - M&T, News and tagged interviewed, sudden fiction. Bookmark the permalink.